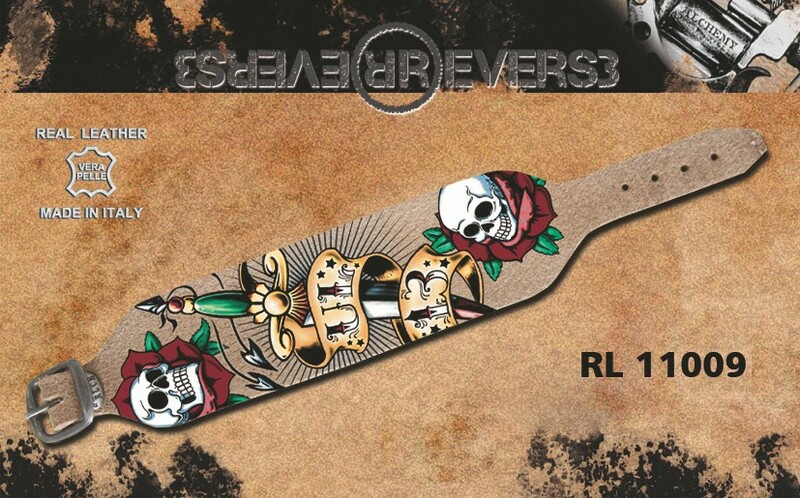 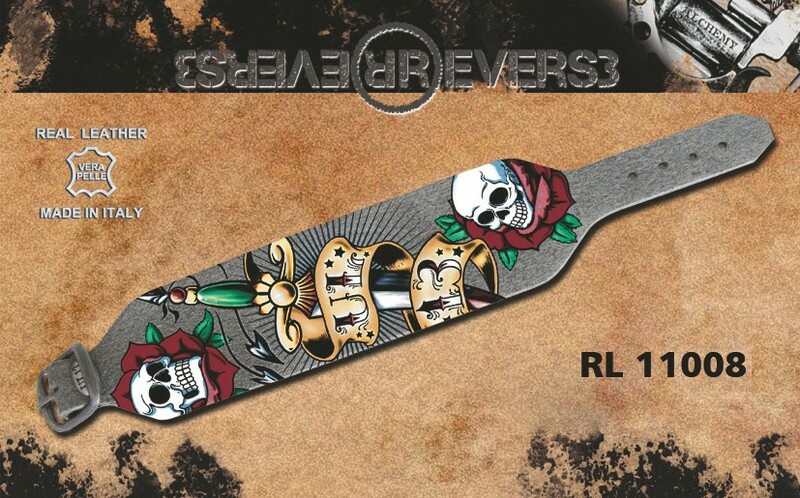 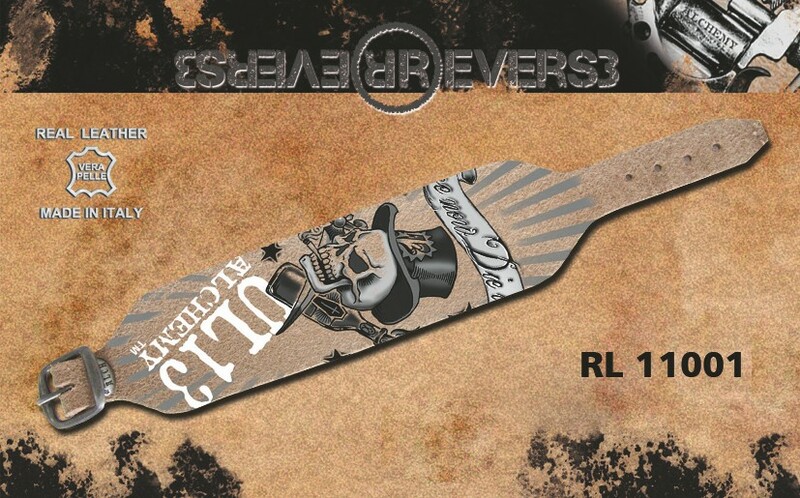 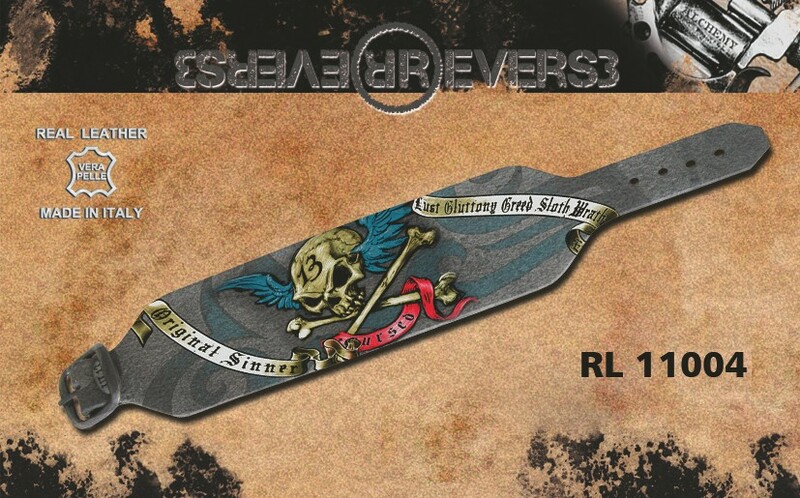 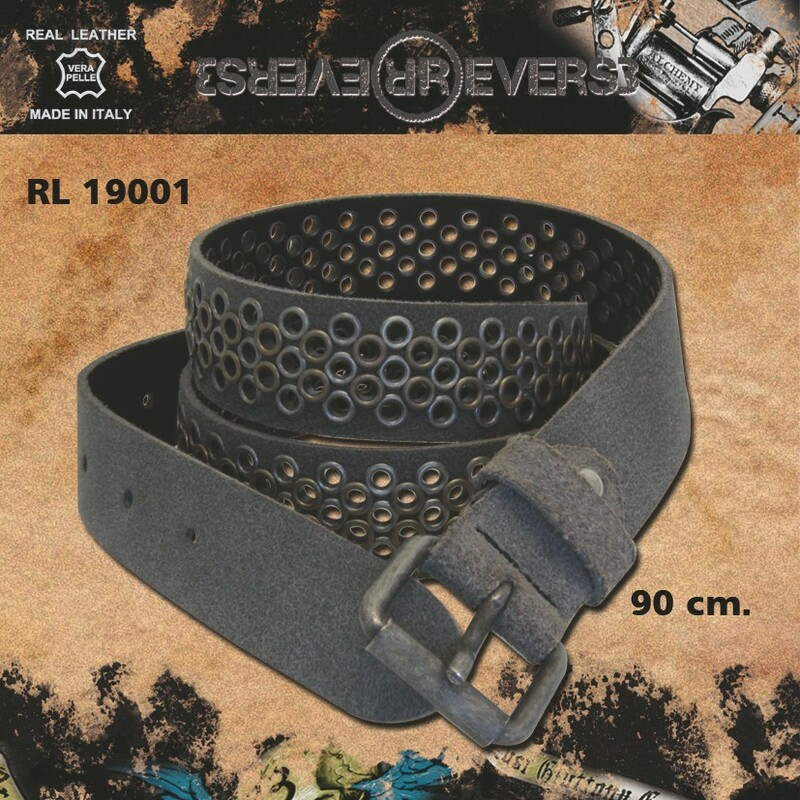 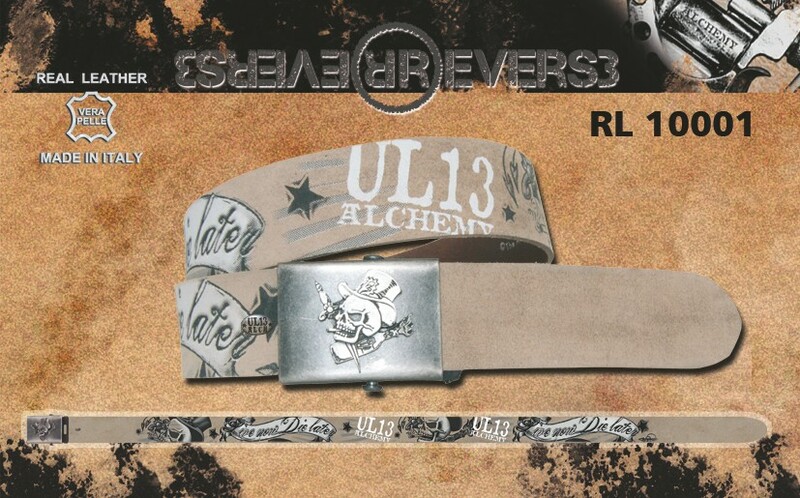 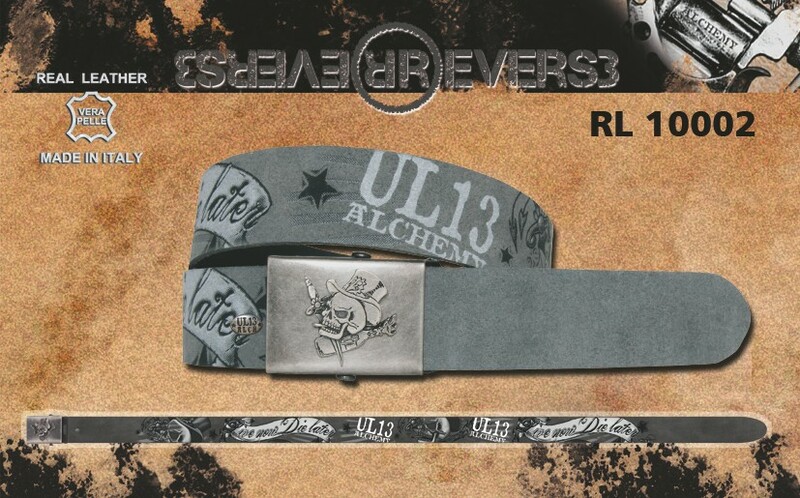 The belts Reverse Leather are only a part of the clothing products created by Heart Rock, in this category you will find 2 types of accessories: Belts and Wristbands. 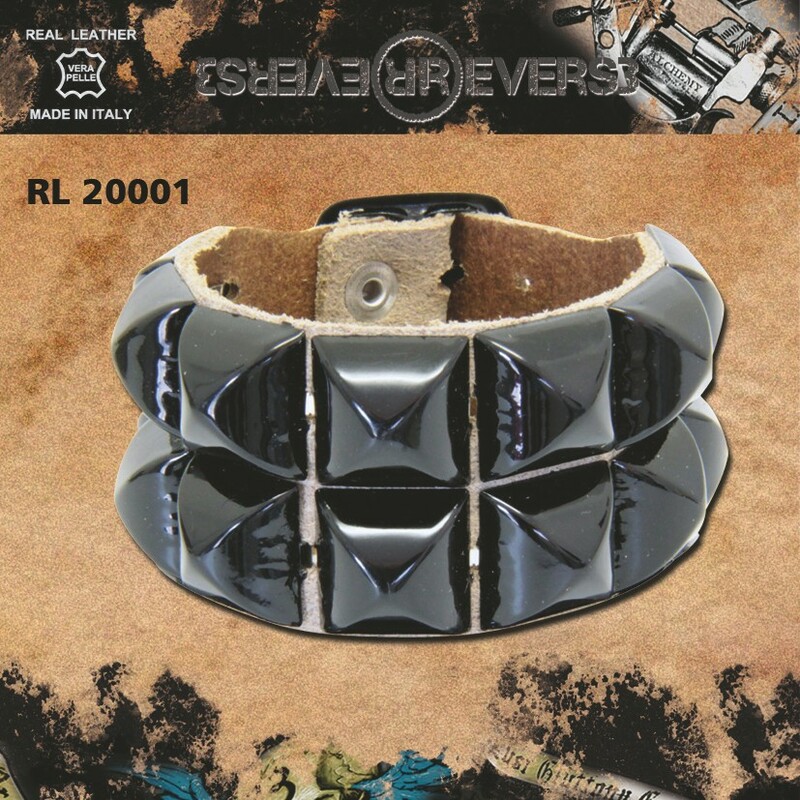 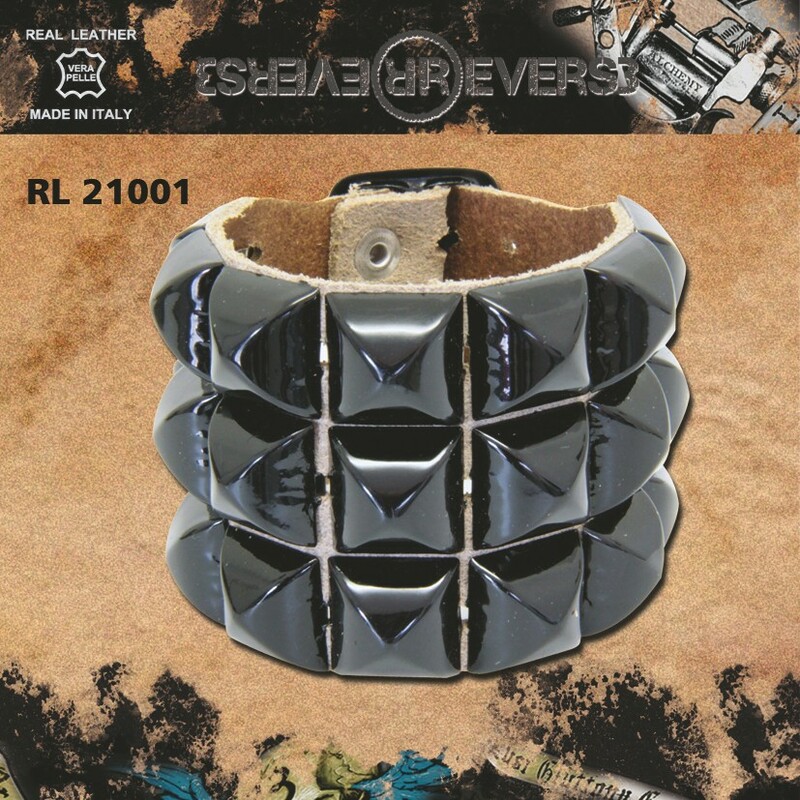 Every single piece is created entirely “Made in Italy” with high quality components, such as the particular type of leather in different colours (shades of brown or grey) with inserts, like studs of different size and type or particular draws with a strong artistic effect. 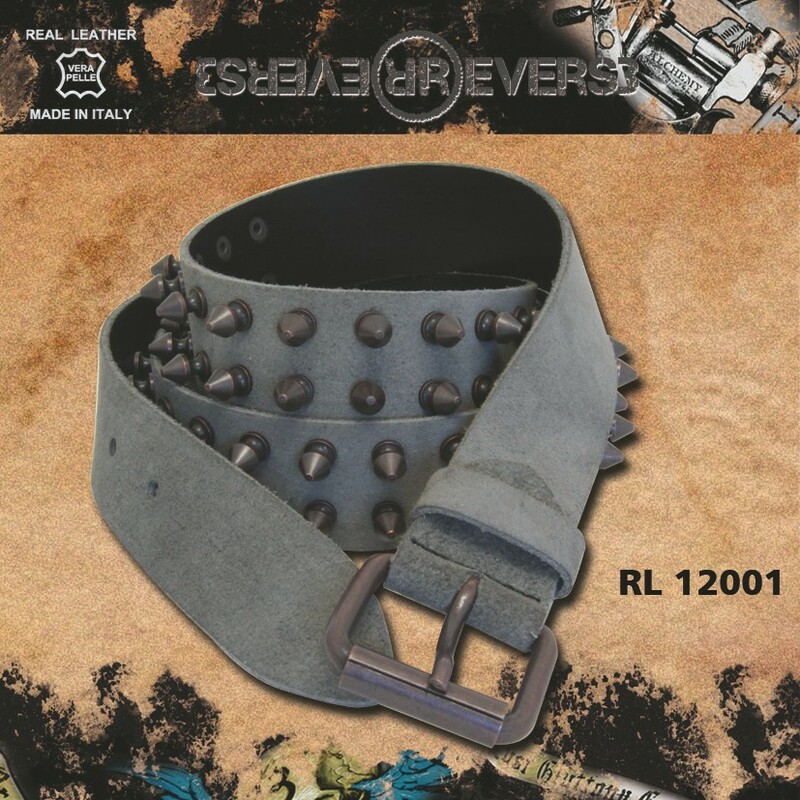 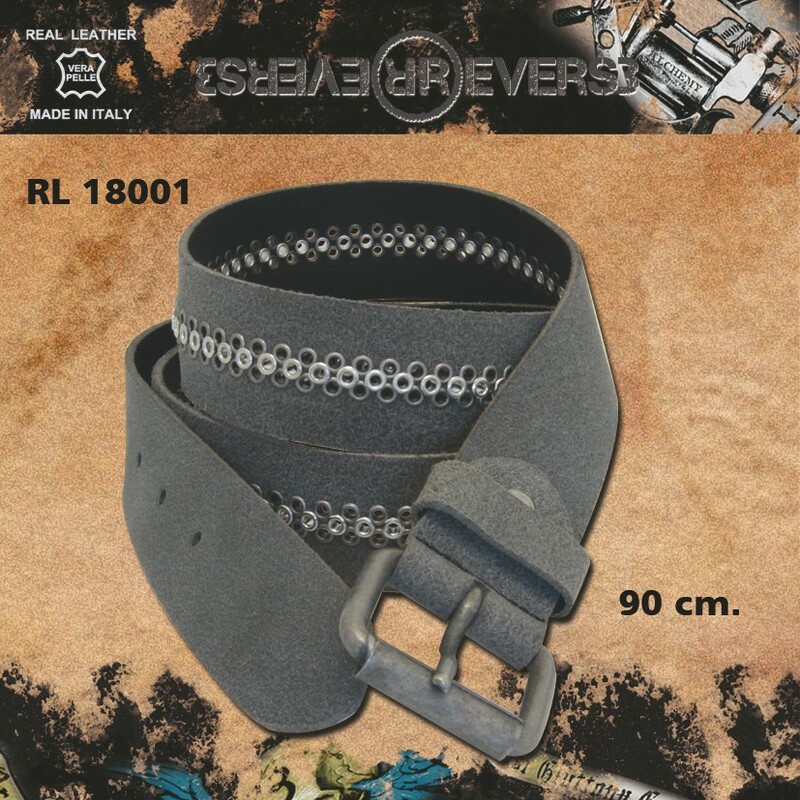 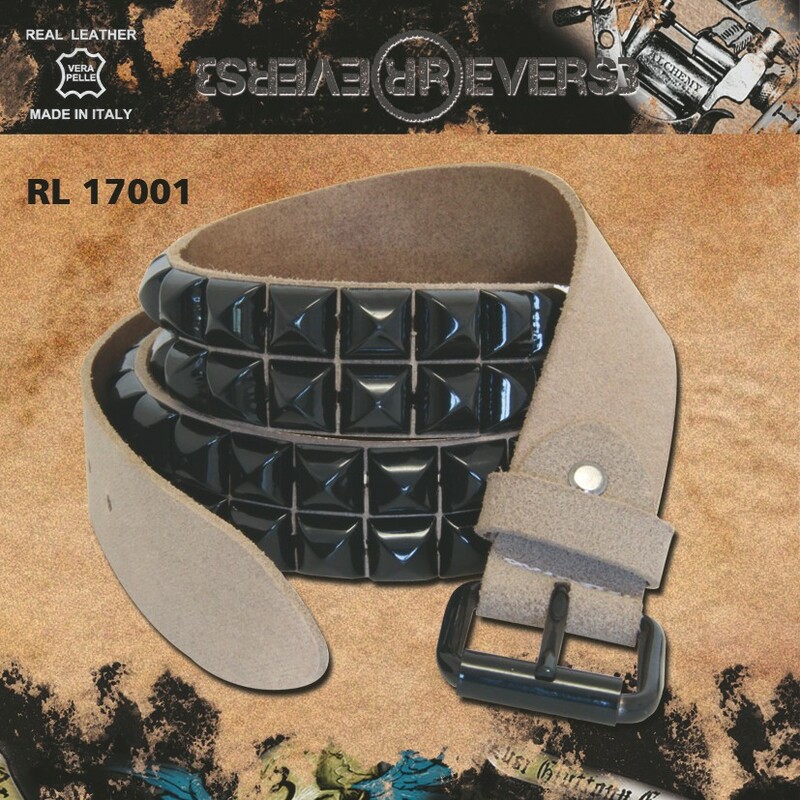 The products that you will find are all original and with different features, the Belts can have particular coloured draws and designs or studs in different type and colour, rivets that create a specific design, but also diversify for the type of buckle. 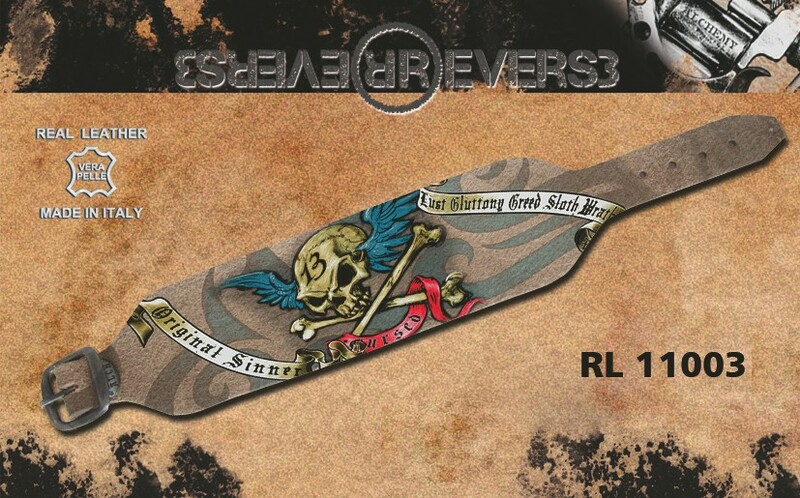 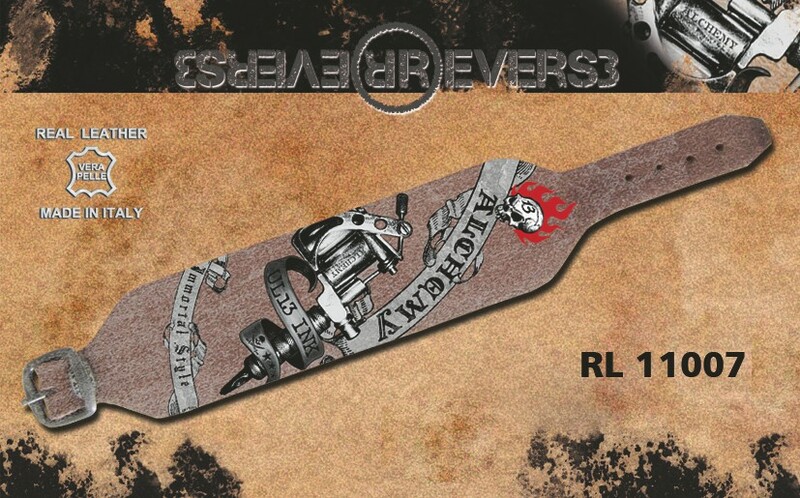 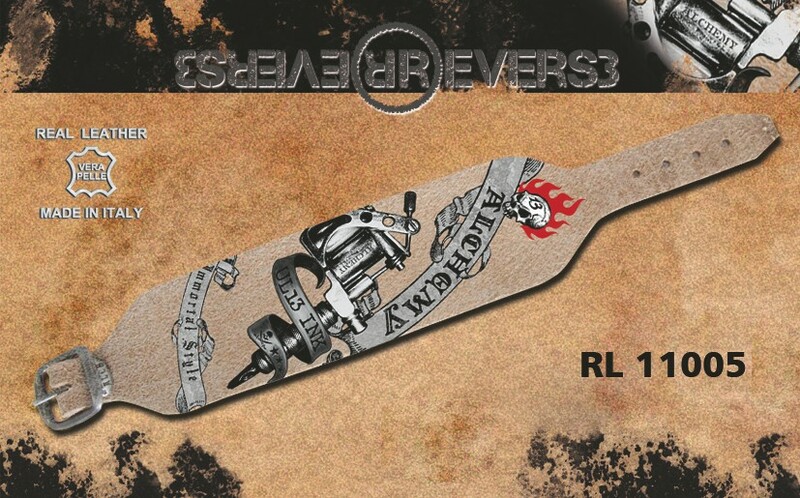 As for the Wristbands are made with precision and care in order not to feel uncomfortable while wearing them, the types that you will find are very similar to the belts ones, with detail drawing or studs and different size of the wristband. 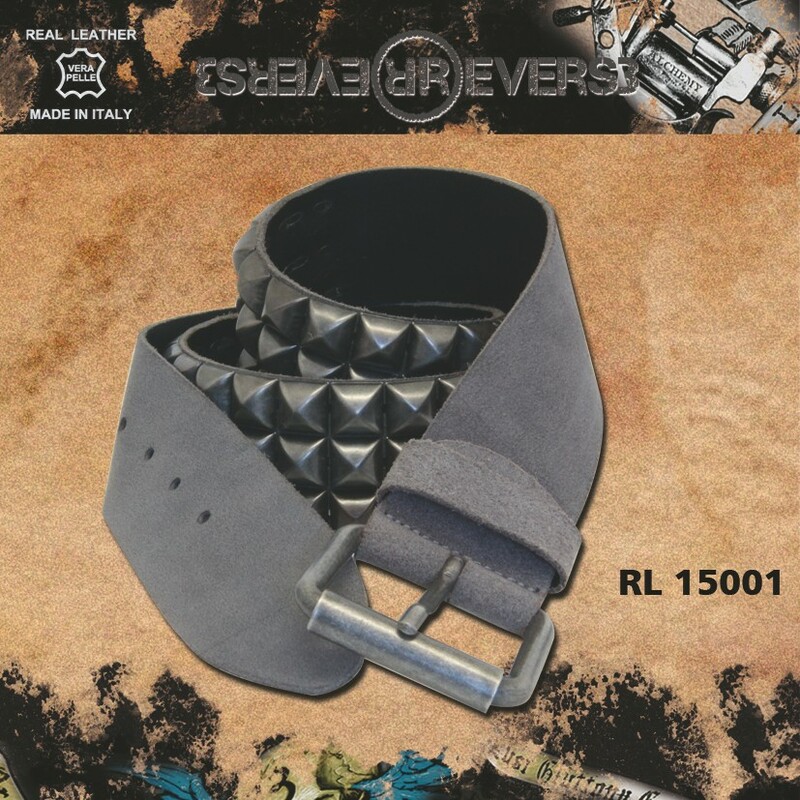 The distinctive trait of Reverse Leather is its aged look and the unique style, also the inserts are particular, from smooth to black matte studs and also an aged effect for the designs. 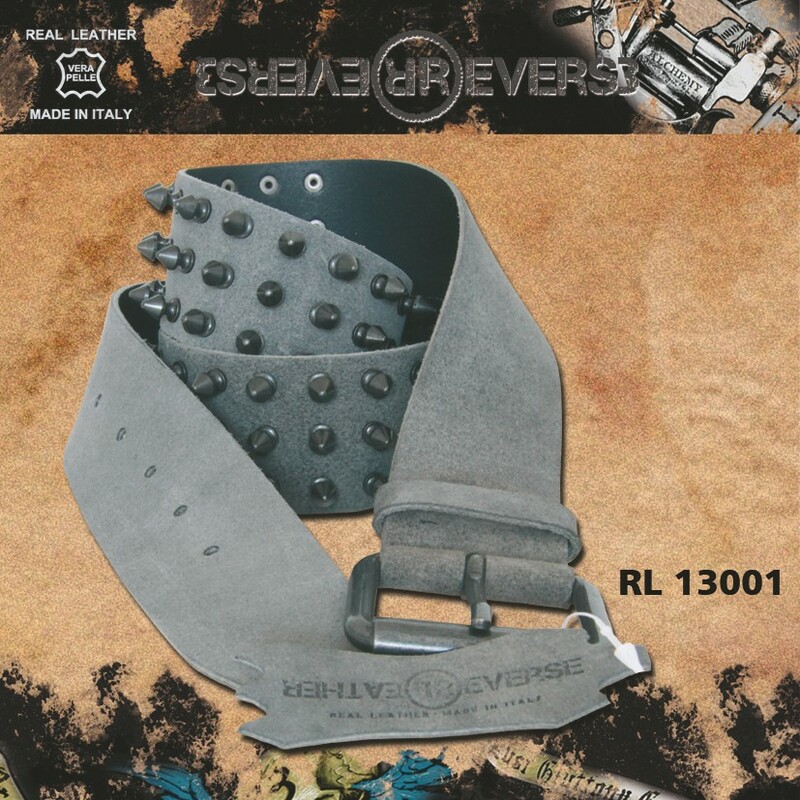 The Reverse Leather product are integrated in our product inventory with an accurate reproduction of the accessory that is sold and a complete description of the product, among which type of used product and item code. 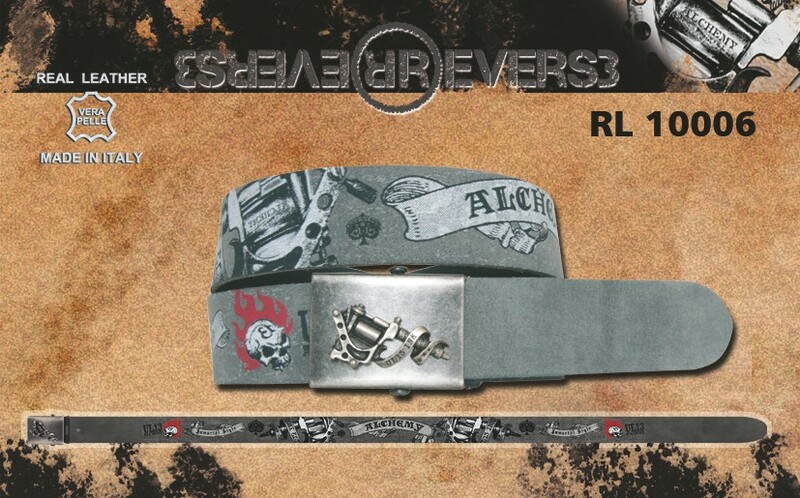 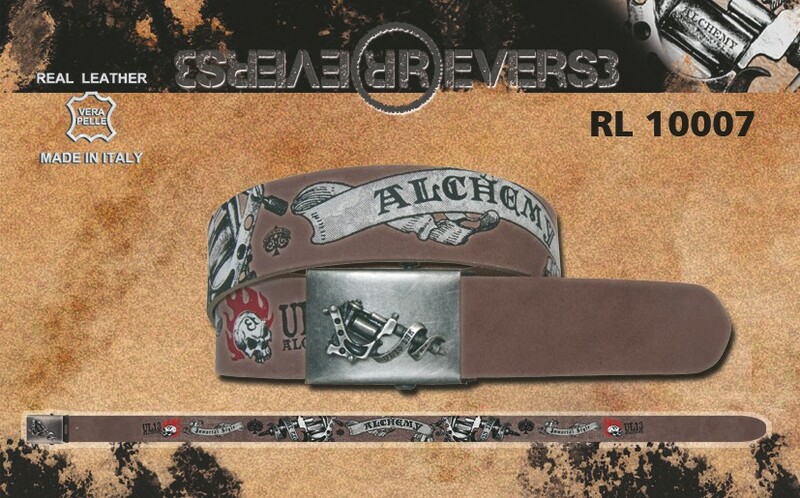 Here below you will find all the accessory Reverse Leather in alphabetical order per product, from A to Z, with all the details to find the one that interest you, or you can find the products divided in type of accessory (Belt and Wristbands). 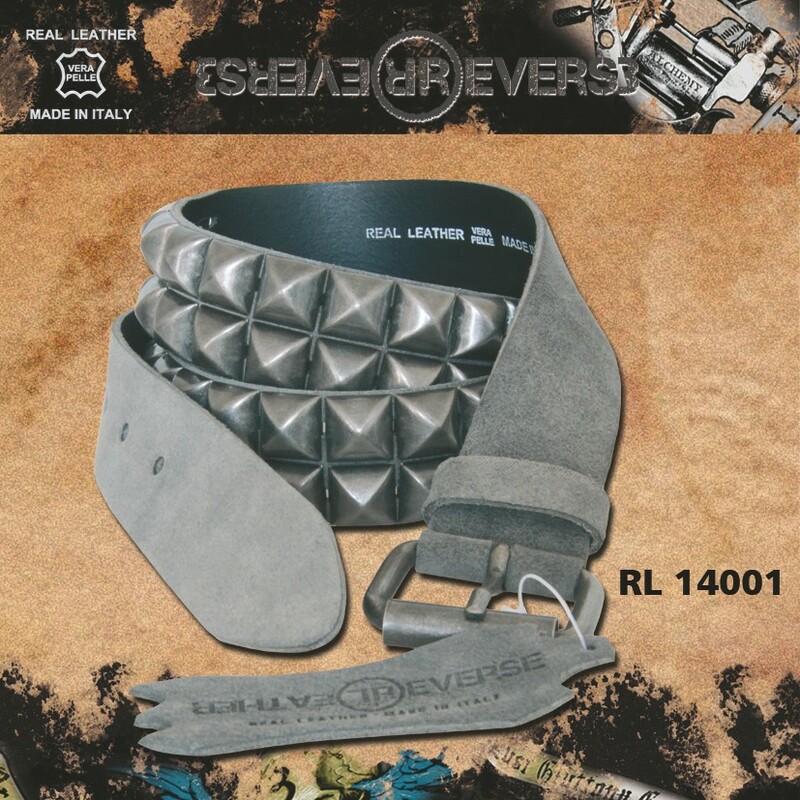 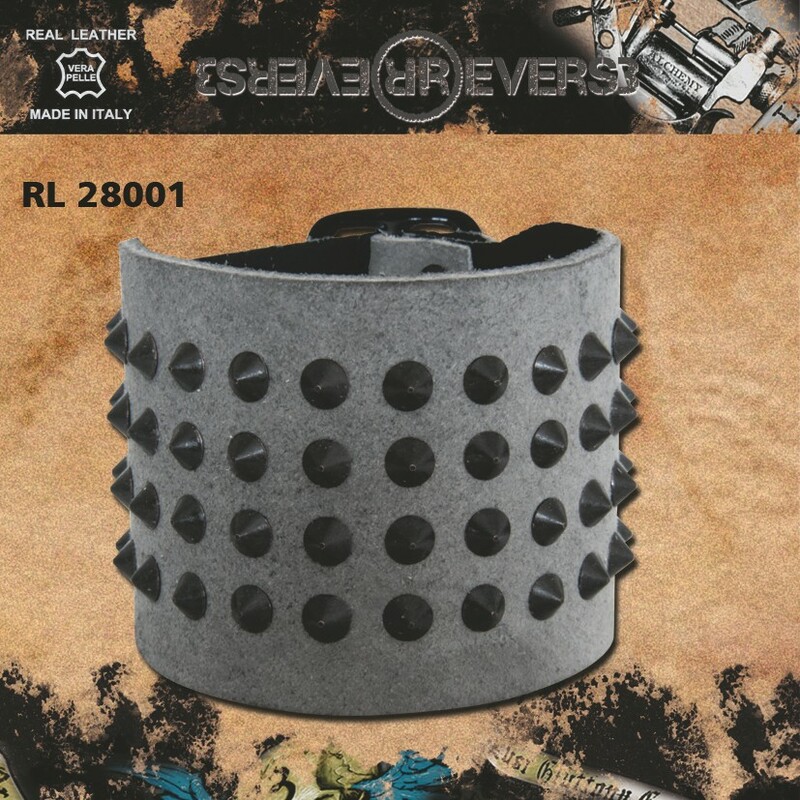 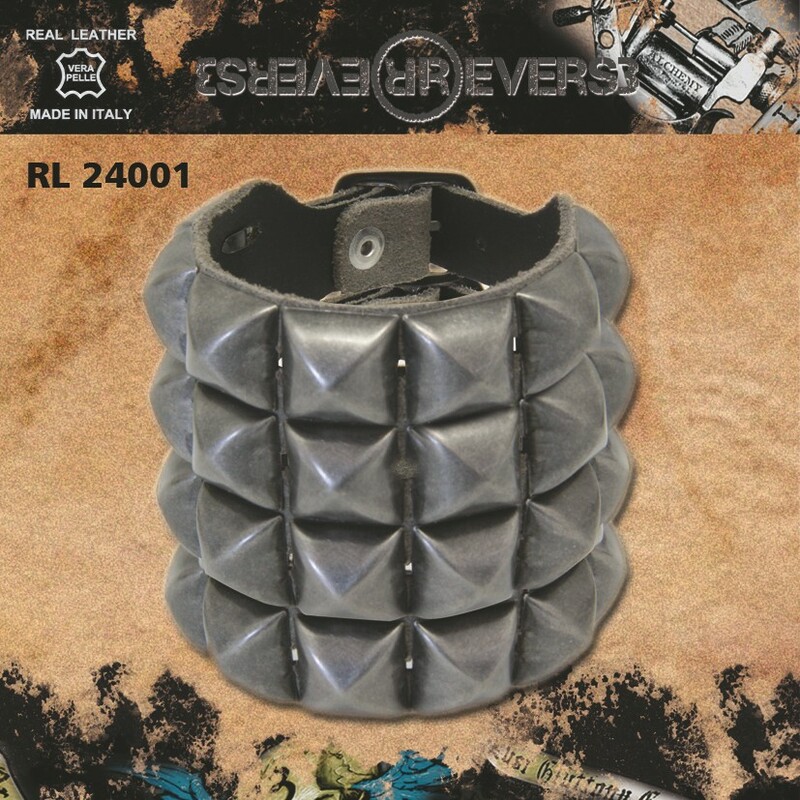 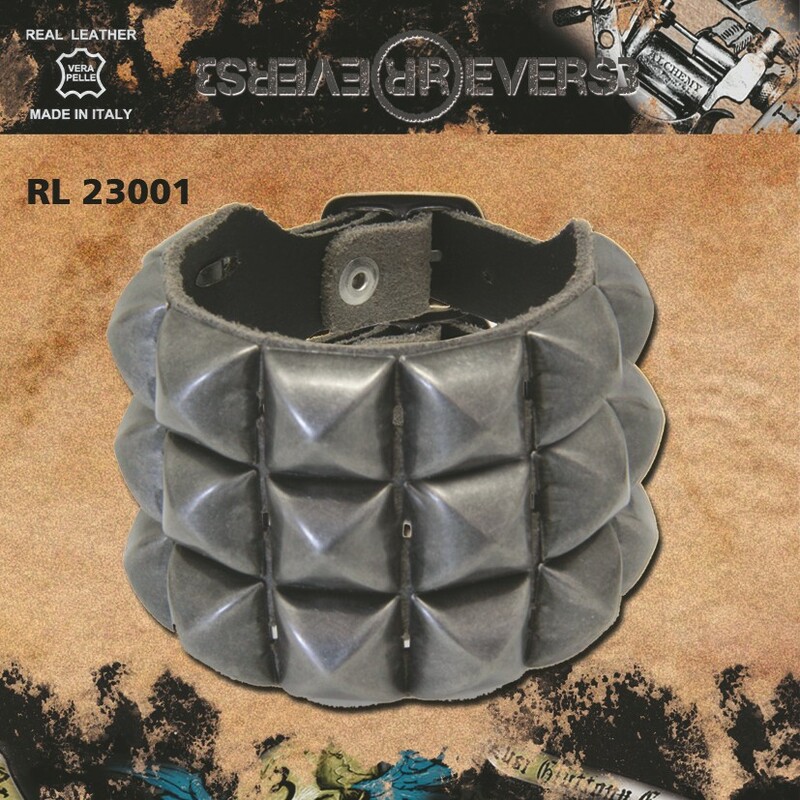 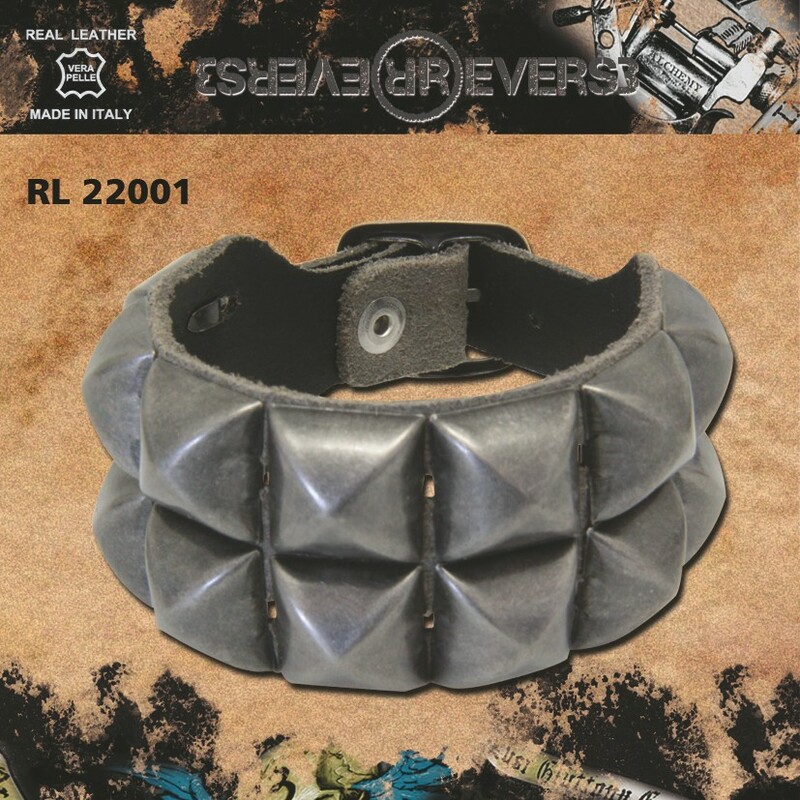 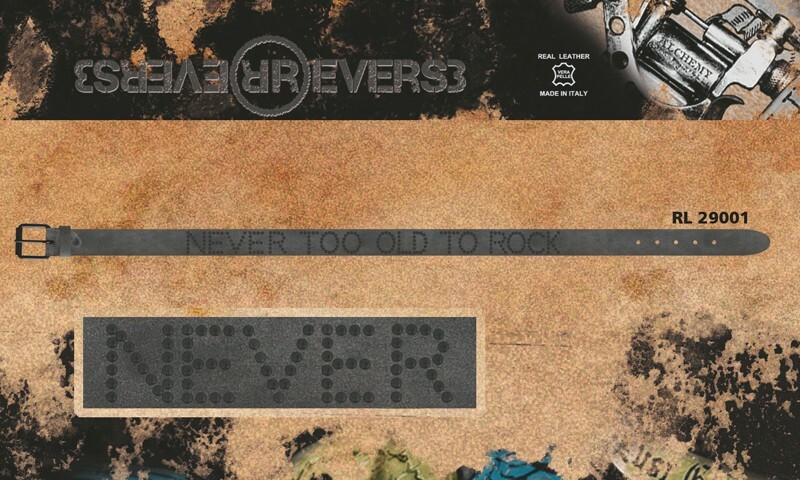 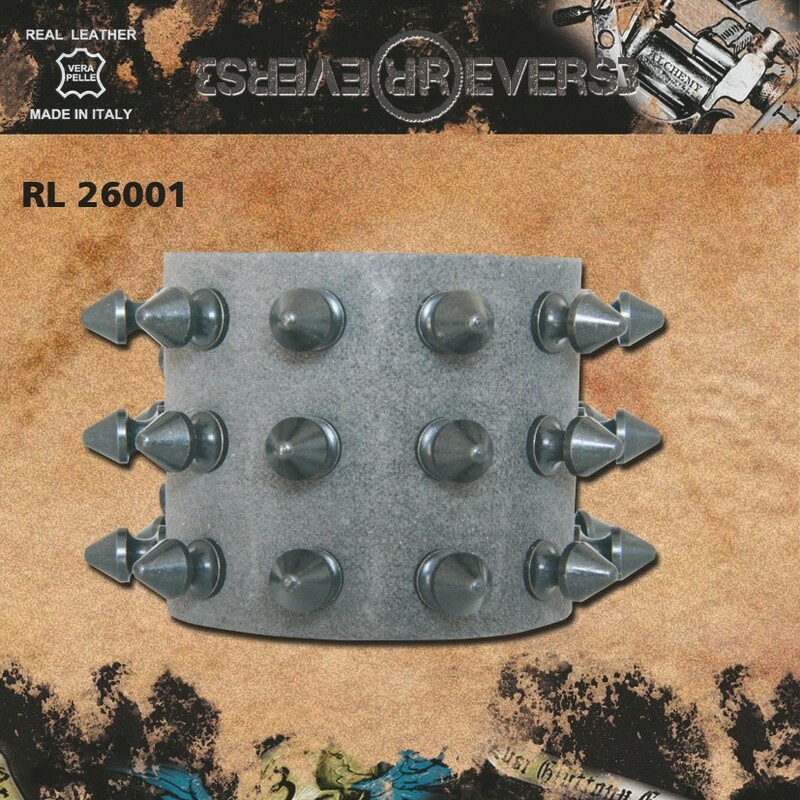 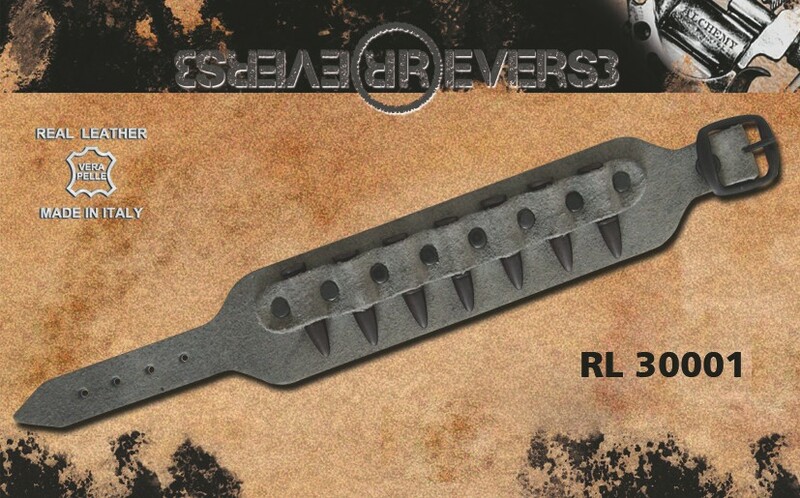 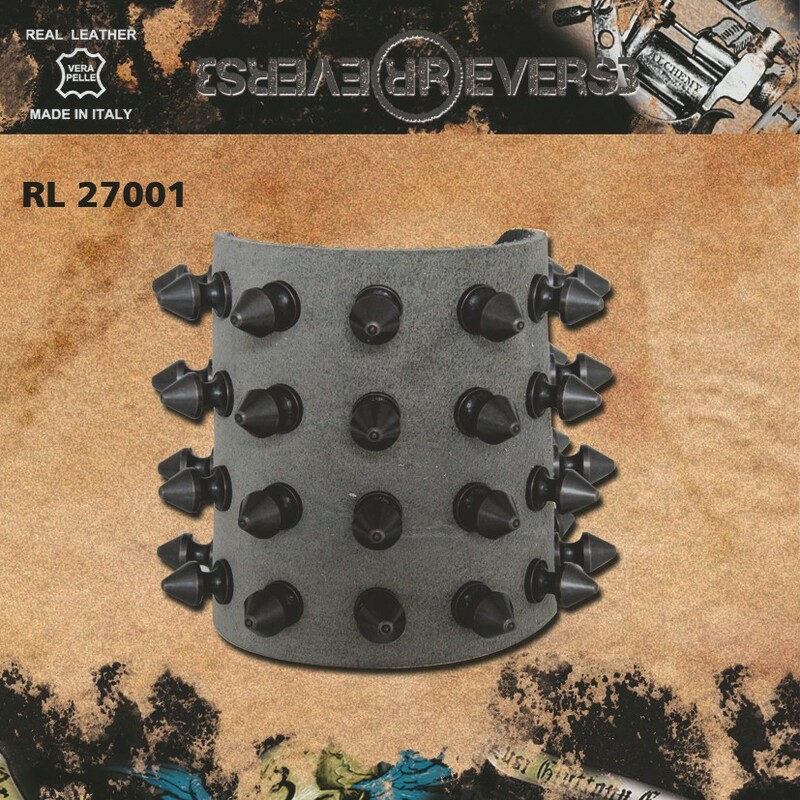 We want to remind you that Heart Rock doesn’t sell Reverse Leather to retailers, but only to wholesalers and distributors; if you want to see and buy all range of reverse accessory you need to register in our shop online and then enjoy our site!